On November 28, 2016, wildfires spread through the Great Smoky Mountains National Park and swept into its neighboring communities: Pigeon Forge, Gatlinburg, and Wears Valley. Known as the "Chimney Tops 2 Fire," this intentionally set blaze originated near the popular Chimney Tops Hiking Trail near Gatlinburg. A dry fall season and a windstorm intensified the fire, which spread outside the national park boundaries. All in all, this wildfire resulted in 14 fatalities and over 2,000 buildings damaged or destroyed. Following this tragedy, there was an incredible response from the community and people from across the nation. Area businesses, attractions, and even local hero Dolly Parton pledged and raised funds to help those impacted by the fire. As a cabin rental company, we were overwhelmed by the outpouring of support from our guests. We were deeply moved by how many people cared for our community and that so many visitors were concerned for the future of the Smoky Mountains after this terrible event. The Smoky Mountains have continued to thrive as a vacation destination, but locals and vacationers who love the Smoky Mountains are still processing the impact of the wildfires on this beautiful part of the country. To gain some perspective on what the 2016 wildfire means for the future of the Smoky Mountain region, we asked an expert. 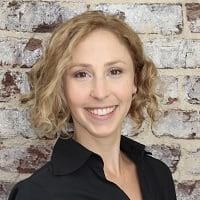 Dr. Stefanie Benjamin is an Assistant Professor in the Retail, Hospitality, and Tourism Management program at the University of Tennessee, Knoxville. She graciously answered our questions about last year's wildfires in the Smoky Mountains. Do you think the 2016 wildfires had a big impact on the Smoky Mountains? Anytime there is a massive natural, or un-natural disaster, within a tourist attraction, unfortunately, the community takes a hit. Especially with our current technological climate, news spreads very quickly through social media. However, The Smoky Mountains, as the number one visited National Park, was able to recuperate fairly quickly. I feel like tourists are excited about returning to the mountains and will continue to support them moving forward. Do you think the fires represent an opportunity for the Smoky Mountains to develop in new ways? I hope so. There are so many potential sustainable initiatives that the Smoky Mountains can adopt. There are several issues around “over tourism” that the Smoky Mountains continue to face. I’m not sure if they will be able to create some type of carrying capacity or way to reduce the amount of foot, car, and human traffic to the park. I feel like it is essential for the longevity of the park. What are some advantages and challenges that the Smoky Mountains have as a tourism destination? As the only National Park without an entrance fee, the Smoky Mountains continue to attract tourists from all over the world. Although some folks believe tourism is an incredible economic benefit, there are issues revolving around over-tourism … with too many tourists. Unfortunately, the Smoky Mountains are dealing with this and will need to figure out alternative ways to combat this issue. 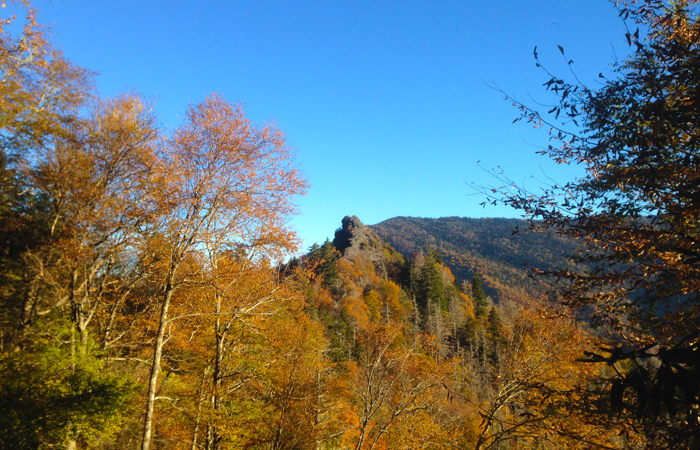 How can local officials help promote tourism and help with recovery in the Smokies? I hope that officials can start to promote tourism in a sustainable way. This includes promoting local artisans, restaurants, shops, Inns, etc., and keeping the economy local to limit leakage. I also hope that some surrounding locations, excluding Gatlinburg and Pigeon Forge, can attract tourists, hopefully helping to alleviate some of the overflow with tourists. Millennials, as one of the fastest growing tourism groups, are looking for authentic experiences with unique, local attractions. I hope that the Smokies can offer that through offering historical and authentic heritage tourist activities and experiences. Can you think of another example of a major disaster impacting a tourism destination? Something similar happened with Sanibel Island in Florida with the BP Oil Spill. This was a major issue for the entire west coast of Florida and gulf of Texas. There were several campaigns, initiated by local Destination Marketing Organizations (DMOs), to entice visitors back to the west coast of Florida. They eventually bounced back, but it was a hard effort to entice tourists back to the area.